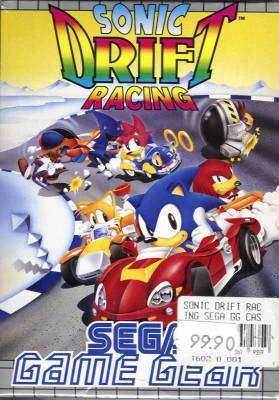 Sonic Drift 2 (ソニック ドリフト２) / Sonic Drift Racing - Games - SMS Power! Start your engines and prepare for the race of your life! 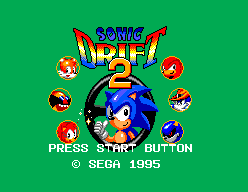 Choose from 7 of your favourite characters including Sonic, Knuckles and Robotnik, each with his own special powers. Plug in your Gear to Gear connector* and take on a friend through over 17 courses in the ultimate Chaos Grand Prix.